Good morning to you all! I hope you're all well and you've all had a lovely weekend? Things were a little strange here I have to say... No matter how much I tried to relax, I felt slightly on edge. I tried reading, but couldn't concentrate on my book. I felt restless without knowing why. So I baked. 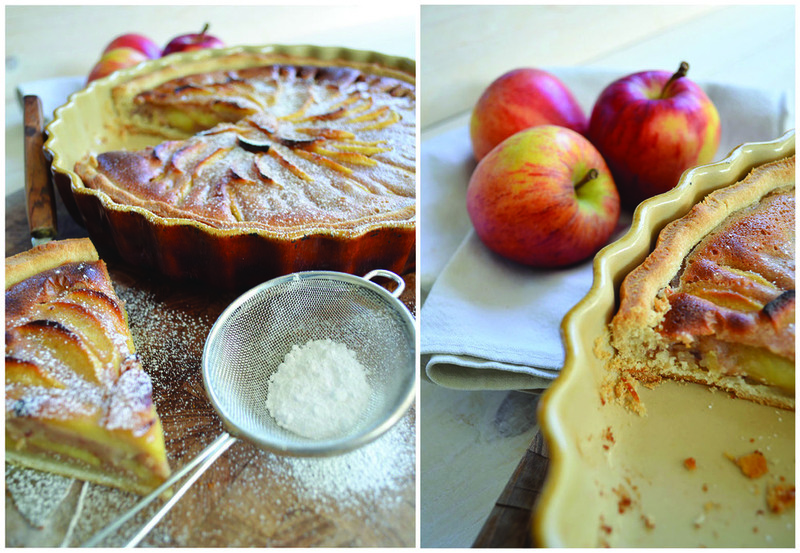 So, this is my Tarte aux pommes à l'Alsacienne - but with a little difference. I add cinnamon to the topping. The combination of apples and cinnamon on top of the shortcrust pastry gives it a "cold weather twist" and adds just a little bit of extra flavour to the apple tart. If you would like to make this one, then pop over to the @Home blog here where the recipe and instructions are posted. I hope you will give this one a go and enjoy it. Wishing you all a lovely week ahead.